View of broken handle of the spoon that shows the hollow rim. 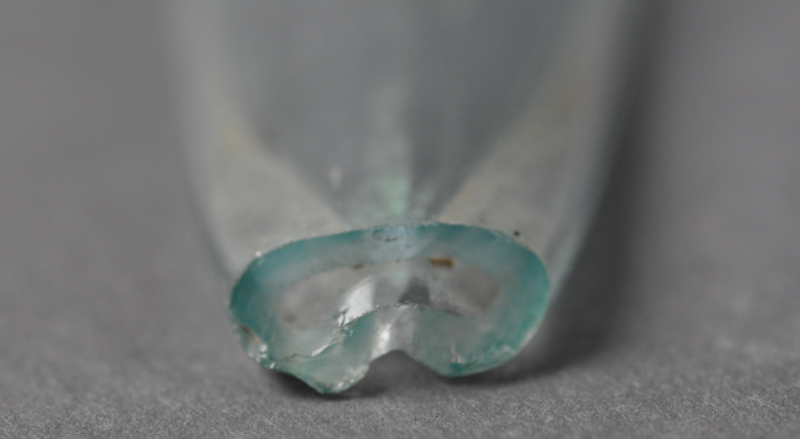 Photograph of glass fragments, including the spoon, from the vicinity of the south end of the Summit. 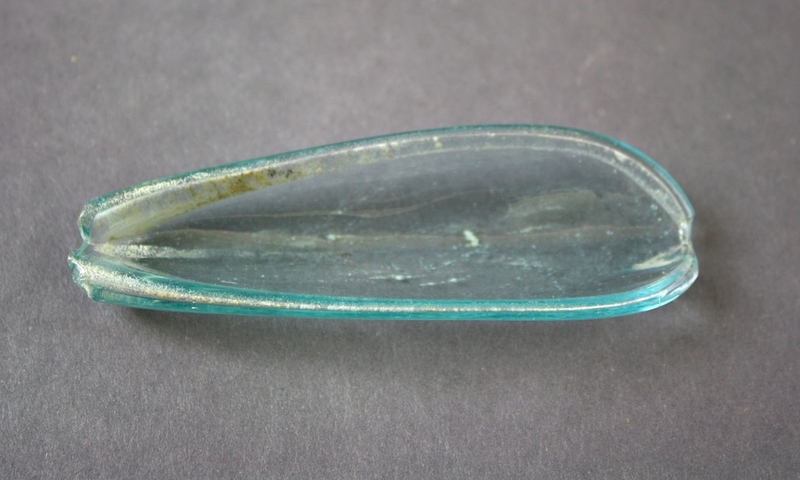 This transparent glass spoon was found in a domestic context, that of House III, in which many other objects from daily life were found. It was crafted by blowing, as is evident from the hollow rim.